Counseling and school-based services are offered for students at each school building in the district. The following is a list of the counselors employed by the district as well as the school-based therapists that provide more intensive supports when needed. 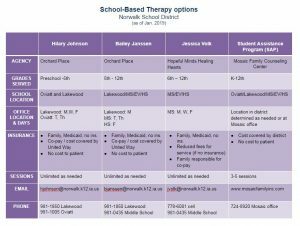 Our district school-based therapists provide individual support to students and families. Questions about services and supports can be made directly to the therapists. See the information below or click on the table for more information about each provider. Hilary Johnson is a therapist through Orchard Place and serves both elementary schools. She is a Licensed Mental Health Therapist trained in Trauma-Focused Cognitive Behavioral Therapy and EMDR therapy. She has worked with children and adolescents in residential treatment settings as well as in their homes. She has also worked with children and families involved with the juvenile court systems and Iowa Department of Human Services. She is available at Oviatt on Tuesday and Thursday and at Lakewood Monday, Wednesday (AM), and Friday. She can be reached at hjohnson@norwalk.k12.ia.us or by calling Oviatt or Lakewood directly. Jessica Volk is a Licensed Mental Health Counselor and is trained in EMDR Therapy and Trauma-Focused CBT. 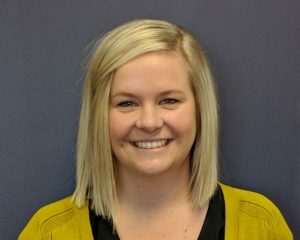 Jessica has years of experience working with young children adolescents, and adults in settings including residential mental health treatment centers, addiction therapy centers, and outpatient/school-based therapy centers. Jessica has clinical expertise in family therapy and has facilitated a variety of therapeutic groups including STEPPS/STAIRWAYS. Jessica’s practice focuses on the treatment of trauma and she has experience in working with a variety of age groups on complex trauma, attachment, dissociative disorders, as well as depression, anxiety, and other mental health disorders. For questions/referral information, please contact jvolk@norwalk.k12.ia.us or 515-778-6081. 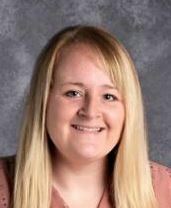 Bailey Janssen is a therapist through Orchard Place and serves Lakewood (5th grade) and the secondary campus. elementary schools. 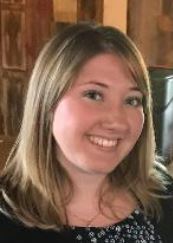 Bailey is a Licensed Mental Health Therapist serving as a School Based Therapist for Orchard Place. She is trained in Trauma-Focused Cognitive Behavioral Therapy. She has worked as a clinician at a therapeutic school that served students with significant mental health concerns. Her focus as a clinician was to help students and their families work through their trauma and introduce new skills to decrease mental health symptoms, behavior concerns, and increase overall success. She also has experience working with adolescents with substance abuse issues in an outpatient setting and also at an alternative school serving pregnant and parenting teens. She can be reached at bjanssen@norwalk.k12.ia.us or by calling Lakewood or the Middle School directly. 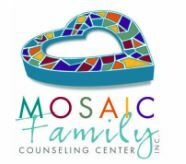 Mosaic Family Counseling Center provides Norwalk students with free, confidential services who are in need of behavioral health services.The Student Assistance Program (SAP) is designed to be a no cost, rapid response intervention for students and their families to have better success in school. Services are available in person at school or in the Mosaic office, by phone or through telehealth services. Typically our services through SAP will last 3 to 5 contacts. For more information, please contact: info@mosaicfamilyinc.com or call 515-724-8920.